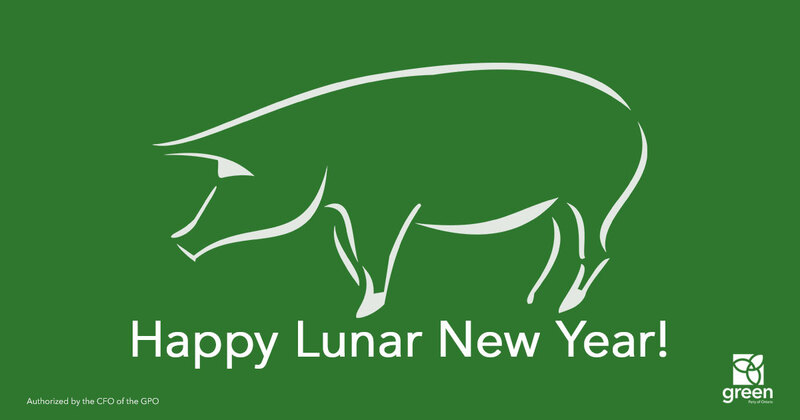 Today marks the beginning of Lunar New Year. During this fifteen day celebration, communities will come together at temples and gatherings to mark the beginning of the Year of the Pig. Lunar New Year is the most important date in the lunar calendar and is celebrated with beautiful parades, community festivals, the exchange of gifts, and spending time with loved ones. These celebrations offer us all a chance to reflect on opportunities for renewal and to find peace moving forward with the year ahead. The GPO would like to wish all who are celebrating a happy and prosperous New Year!